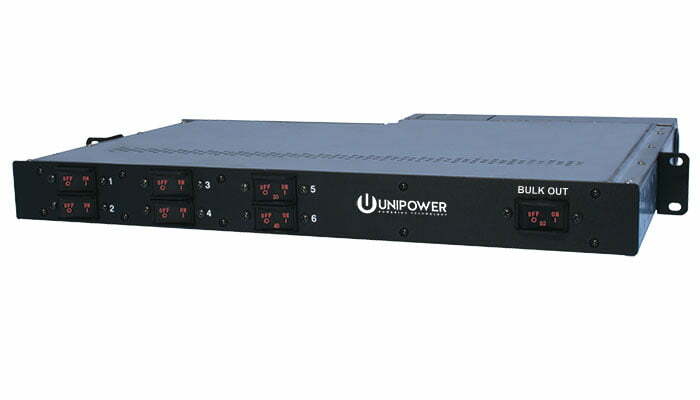 PDUAC1U is a 1U AC Power Distribution Unit that provides AC distribution and overload protection for 6 circuits distributed through a field wireable terminal block, NEMA 5-15R or IEC60320-C14 outlets. There is also a bulk AC output terminal block for field wiring. On the distributed outputs the Terminals Block version is fitted with 6 x 20A breakers, NEMA version with 6 x 15A breakers and the IEC version with 6 x 10A breakers. Both the terminal block and IEC versions will operate with 120VAC and 230VAC systems. The NEMA version operates with 120VAC systems only. Each unit is supplied with brackets that allow mounting in either a 19” or a 23” frame. Safety UL60950-1, CSA22.2 No. 60950-1 2nd Ed., EN60950-1 2nd Ed.